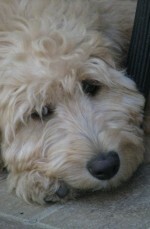 Miss Darcy participated in two blog hops and couldn’t be more excited to announce the winners. Winners of the Holiday Blog Hop! Miss Jessica Crawford is the fortunate winner of the $20.00 gift card. She will be getting the gift card directly from Amazon. Hope it will make her Christmas shopping easier and more fun. might consider The Five Kisses. Winners of the Holiday Gifts of Love Blog Hop! Miss Eva L. is the fortunate winner of the $10.00 gift card. She will be getting the gift card directly from Amazon. It’s fun to shop with a gift card. Miss Darcy has sent emails to the winners telling them of their good fortune. 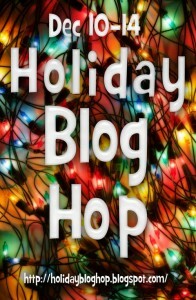 Hopefully all of you have had a fun time and will join in the next blog hop. Holiday Gifts of Love Blog Hop! Miss Darcy Is Thrilled! Two more days to win big prizes. Miss Darcy was so thrilled with how much fun everyone had at the last blog Hop that she has joined the Holiday Gifts of Love Blog Hop. She will be participating with 200 authors for a gigantic giveaway. Devil take it! The Holidays are exciting enough but now the opportunity to win big prizes is something that has all the Daughters of Sweet’s Racing Club aflutter. Just imagine the opportunity to win a Kindle Fire, an Amazon gift card or a basket of swag! Christmas is such a wonderful time of year! 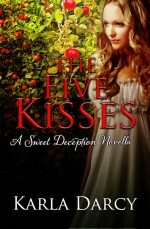 Miss Darcy was delighted when one of the members of the DSRC gave her the Christmas novella The Five Kisses, the romantic story of Gillian and Chad. Such a sweet relationship and there are kittens too! So from Dec 14th to Dec 17th, all 200 or so of us will be blogging about the holidays and what they mean to us. We may talk about our favorite holiday traditions, recipes, gifts, reads, heroes, and so much more. We want to hear about what you do for the holidays, what you read, and who you’ll spend it with. We hope to see you here and happy hopping! And while we do that, we are EACH doing a giveaway. That’s right. There will be over 200 giveaways on each blog hosted by that Author or Blogger. 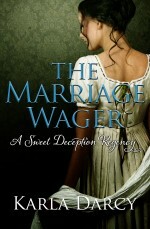 It’s so easy to enter Miss Darcy’s Raffle for the $10.00 Amazon gift card. Just click HERE. Once you’ve entered to win Miss Darcy’s giveaway you’ll want to go to the main Holiday Gifts of Love Blog Hop! There are THREE grand prizes. You as a reader can go to EACH blog and comment with your email address and be entered to win. Yep, you can enter over 200 times! To go to the main page click HERE. Comments Off on Holiday Gifts of Love Blog Hop! Miss Darcy Is Thrilled! Karla Darcy is Still Holiday Blog Hopping! This is the last day of the Holiday Blog Hop! This might just be your lucky day! Enter again today! Have you won yet? It’s not too late. This is the last day of the Holiday Blog Hop. Miss Darcy has met so many new authors and entered so many contests she’s quite dizzy with pleasure. In fact if you sign up to her announcement list to hear of new releases and other fun things, you’ll definitely get a bonus prize. The Daughters of Sweet’s Racing Club were so excited when they participated in the Blog Hop that they decided they would donate a copy of The Masked Heart to be raffled off at the end of the meeting the other night. Such a dazzling evening! Oh la! Some of the members hadn’t heard the story of Blaine Meriweather and Drew Farrington. You all will recall that in order to save her family from financial ruin, Blaine disguised herself and became an actress. Her wild success saved her family but she hadn’t counted on Lord Farrington wanting to make her his mistress. All might have gone smoothly if Blaine hadn’t fallen in love….. Enough of this gossipmongering, let Miss Darcy tell you about the prizes! 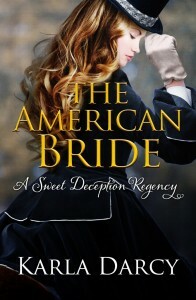 On Miss Darcy’s portion of the Holiday Blog Hop you can win a $20.00 Amazon gift card. Think of the possibilities. To begin all you have to do to see the details of Miss Darcy’s raffle is to click HERE. And after you’ve entered to win at Miss Darcy’s site, be sure to check out the chance to win the Kindle Fire and other wondrous things at The Holiday Blog Hop! This is your opportunity to meet 60+ authors from around the world. You may enter the giveaway contests at each of the author’s websites. Free books and other delightful swag may be yours if you enter. Miss Darcy is planning to visit every one! You’d have to be tottyheaded to miss such a chance. Click on the picture below and you’ll be magically transported to the main page. Comments Off on Karla Darcy is Still Holiday Blog Hopping!